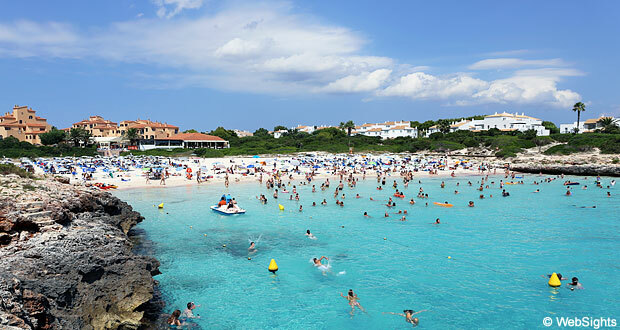 Cala’n Bosch is located in the southwest corner of Menorca, 10 km south of the island’s former capital, Ciutadella. 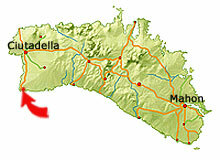 The distance to the international airport at Mahon is 58 km. 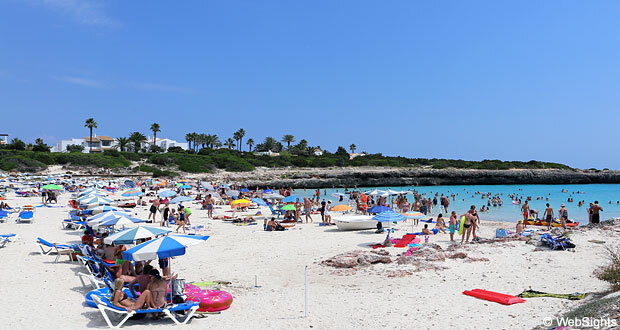 Cala’n Bosch has an incredible beach, which is located 200 m inside a cove with low rocks, and therefore it is well protected against waves. The beach has fine-grained and almost completely white sand. The contrast to the turquoise water has a strong resemblance to a tropical beach. The water is crystal clear and relatively shallow. It is possible to rent sun lounges and sunshades and there is also access to showers and toilets. The beach is very child-friendly. The sand is soft and the water is very shallow. Waves are very rare. It is possible to rent kayaks and water bikes. There are good snorkelling conditions along the rocks in the bay and the bay is generally lovely to swim in. There are a few restaurants close to the beach, but there are no beach bars or anything similar on the actual beach. 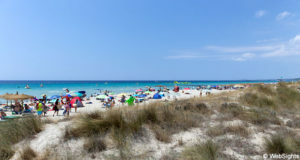 The town of Cala’n Bosch has grown into one with the small neighbouring town Son Xoriguer, but the entire area usually goes under the name of Cala’n Bosch. A 200 m long canal leads to the marina, which is located in the middle of the town. In the area surrounding the harbour, there are many restaurants, cafés and a small shopping centre. Especially at night it is nice to stroll along the charming harbour. 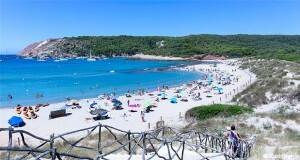 Cala’n Bosch also has many activities for children. 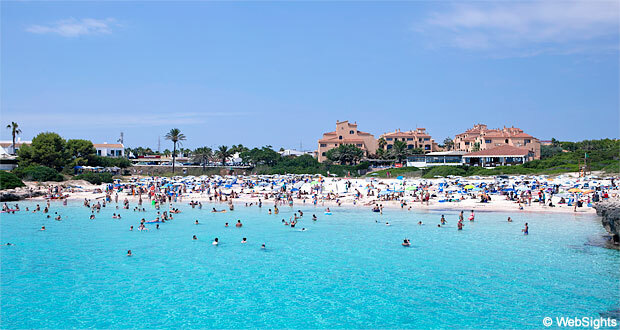 In particular the biggest water park in Menorca, Aquarock, where the entire family will easily be able to spend a day. The Goody Goody Park play land, which has a bouncing castle, a pin table arcade and a playground, is also quite popular.